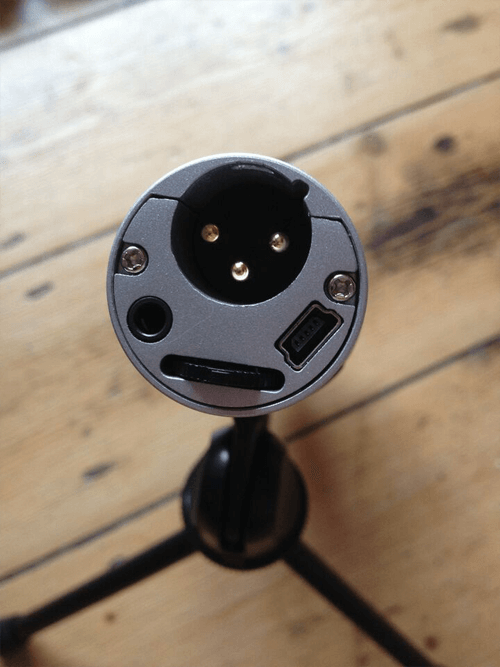 After 12 months of research I finally settled on a budget USB microphone suitable for podcasting, field recording, music and vocals. For years I have been fascinated with sound as part of my business operations since audio/video plays a large role today in marketing. So, I settled on the Audio Technica ATR2100 USB XLR Mic (affiliate link), bagging it for a mere £51 brand new from a US Amazon seller. From 2012 I’d been using a USB mic headset for everything. Then I got the iRig Mic Cast for the Apple iPhone, and now I have the ATR2100. It’s a business marketing tool and therefore tax deductible! It’s not that one mic is better than the other, by the way. The mic headset is great for Skype calls or YouTube videos and is surprisingly good quality. The iRig is great for a relaxed “room sound” interview in a coffee shop. I just wanted something that could handle broadcast quality sound in a studio environment as well as being suitable for say, taking along to a networking event. 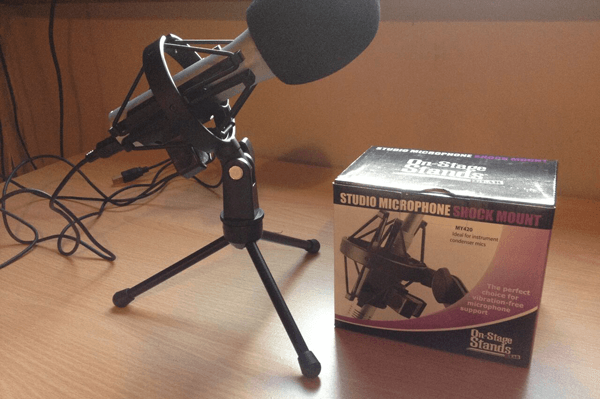 In 2014 I started listening to a podcast about podcasting (PodcastAnswerMan.com) to gather technical tips, best practice advice and information about home recording. 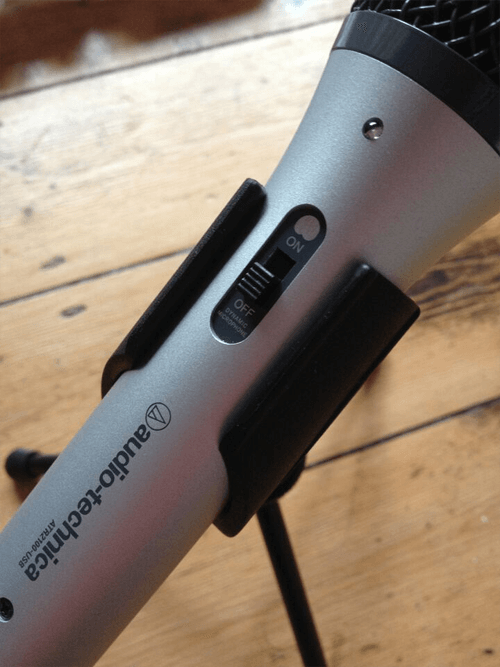 The general consensus seems to be that the Heil PR40 is considered a top end podcasting mic… if you can afford it. It retails for about £300. 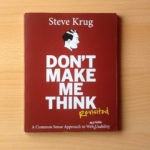 If you’re like me, you want something relatively inexpensive yet formidable. After watching, reading and of course listening to microphone reviews, I listed my criteria and made the purchase decision 12 months later. The diagram below has been scanned directly from the paper instruction booklet. The plastic stand and two leads are included. My comment: This microphone is designed to be spoken into directly on the top, and I’m afraid to say that plosives are a real problem. You can always try a “side address” positioning slightly off axis but keep in mind the furthur away you are from the mic, the quieter the recording. If you want to hit the “sweet spot” of this mic for the best sound, you want to be about 3 inches away with the gain settings on your sound card turned up to around 90%. Consider investing in either a foam ball or a mesh pop filter if you want to produce the best quality sound on a regular basis. A foam ball is ideal if you’re outside of a studio environment, interviewing people, or possibly in windy conditions. They reduce plosives and other popping “p” sounds. Most foam balls available for purchase will fit the ATR2100. A mesh pop filter can had for under £10 and is best attached to a sprung scissor arm boom stand. The best thing about the mesh pop filter is that you can position the mic about 3 inches behind it and then get as close as possible to the pop filter when you’re talking, ideally with your nose almost touching the mesh. My comment: This mic is sensitive to sounds from one direction, roughly in a heart shaped space on the front of the mic. The word “cardioid” actually means heart in Greek. A cardioid polar pattern means you must maintain a certain proximity to achieve good results. 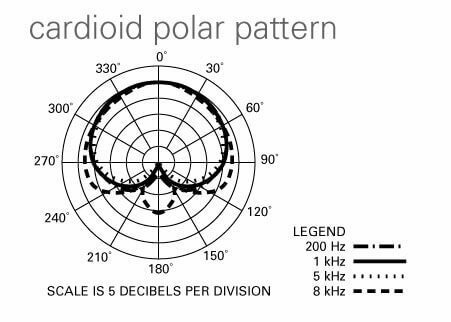 The advantage to the cardioid polar pattern is that sounds from the sides, rear or from a distance are minimised. Unfortunately my squeaky office chair has been faintly picked up by the mic even though the offending sound is more than 2 feet away. The solution here is WD40 on the chair! 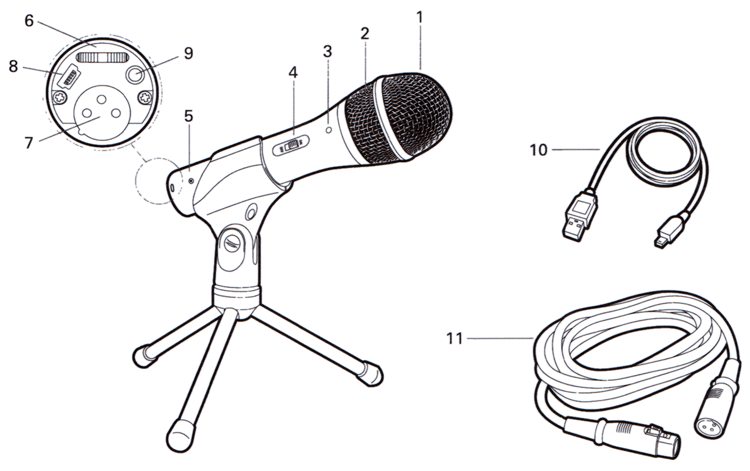 The closer a cardioid mic is to the sound source, the deeper the bass response. This is commonly known as the “bass tip-up” and is observed by radio announcers or even podcasters wishing to add depth to the voice. The ATR2100 gives a deep, professional, full bass sound when I maintain a proximity of 3 inches. The furthur away I am from the mic while recording, the more I have to boost the gain in post production. My comment: If you’re using this mic on a laptop with low battery, beware! My comment: The on/off switch also functions as a mute button during recording! My comment: Dynamic mics are usually tough and water resistant. However I doubt the 2100 would stand up to something like the legendary SM57 or SM58 in a fight! The Shure SM series mics are held in the same high regard as Land Rovers and AK47s. When I took it out of the box the first impression was that although it felt well made, I would still want to treat it with care. It weighs just under 10 ounces. My comment: It’s useful being able to monitor the sound going into the mic, but it is weird hearing your own voice and difficult to make technical judgements because of the bias. My comment: For superior results, it is best to record via XLR to a mixer, routed to a hardware device like a digital audio tape (DAT). Get a 24-bit mixer if you can. My comment: This mic only records in 16-bit USB which is noticeably worse than XLR. Most people begin using USB because they cannot afford a mixer. While USB is convenient, you must remember that digital recordings are at the mercy of glitches and artifacts in the recording. A long recording puts your RAM capabilities at risk because of the memory buffer limitations. Latency may also be an issue. 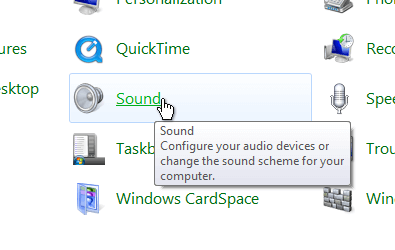 When you first plug the mic into a USB port, your Windows OS will automatically detect the device and install the driver. Before you begin recording, go to Control Panel > Sound > Recording > ATR2100 USB Mic and increase the gain to around 90 or 100. 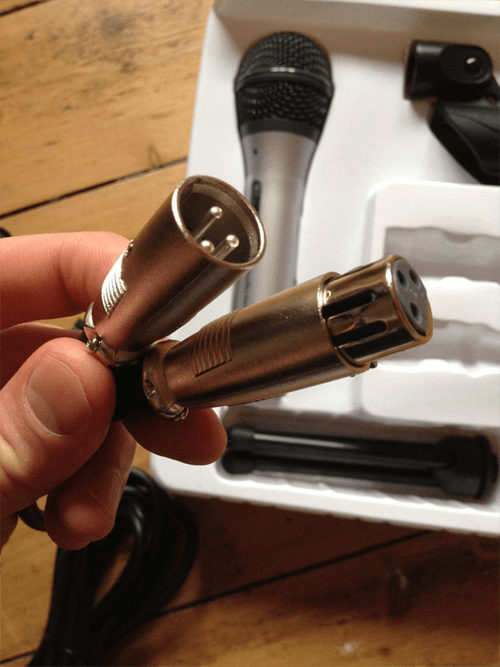 If you ever upgrade to an XLR setup, at least this mic will be usable because of it’s dual compatibility with digital and analogue. My comment: You can plug any headphones in to monitor what the mic is picking up. My comment: The supplied USB lead is 210mm, well over 6 feet. This is fine for some people but I’ll probably need a longer cable for the scissor arm boom mic stand I’ll be purchasing in a few months. By the way, the USB input on the mic is of the mini variety. My comment: I’m glad the mic is supplied with an XLR cable. The “M” stands for male and the “F” for female, by the way. If you ever obtain a mixer at least you’ll already have a compatible analogue mic. Something else I purchased for this particular mic is a shock mount (affiliate link). These devices prevent knocks, shocks and vibrations causing the microphone to pick up unwanted sounds during recording. The shock mount I purchased is the OnStage My420 available on Amazon. I purchased mine brand new from Japan at a very good price, although, if you’re in the EU, your country’s border force will levy a customs charge of around £20. I researched various shock mounts before settling on this one because I wanted one that would fit my mic perfectly. I also want to eventually buy a boom scissor arm stand and use the same mount on that. Although I’ve yet to try it, this ATR 2100 works with the iPad if you get an Apple camera connection kit. 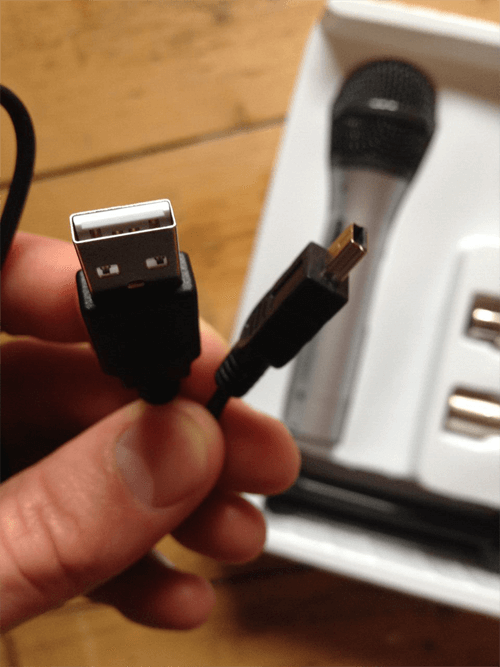 This is an adapter that ports the USB cable from the microphone to your iPad. The first ever recording I made with this mic was for a YouTube video. At the time I had no pop filter over the mic and no shock mount. I simply had the mic about 1 foot away from me on its plastic tripod. I also used Screencast-O-Matic, which, unfortunately, renders all audio at 64kbps in mono. Still, take a listen to the sound of the video and you’ll see it’s not bad at all for £50. If you like this microphone, click here to buy it on Amazon. This is an affiliate link which means I will earn a small commission. 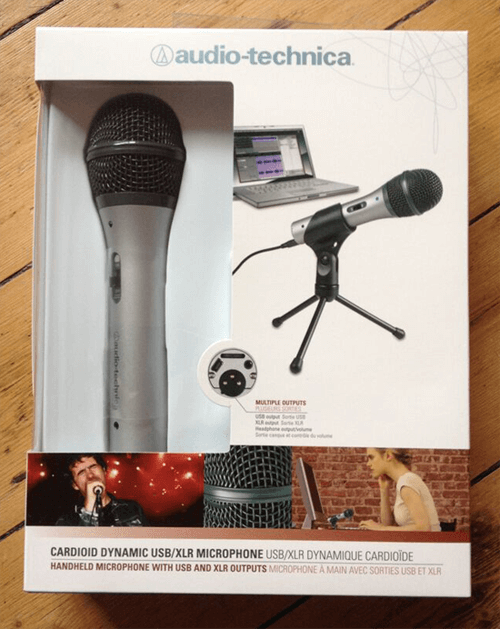 I was very interested to hear your thoughts about said microphone as right now I am considering buying a new one (I’m currently using an AT2020, but it’s a condenser…). I am also considering the Snowball, but what I don’t understand is that despite being a condenser mic, it still gets plenty of praise for use which I wouldn’t normally consider ideal for that type of mic? I once borrowed a friend’s Snowball, and if I remember rightly it picked up the entire room. I have the ATR2100 so that it doesn’t pick background noise. Have you listened to any use cases of the Snowball on YouTube? There’s bound to plenty of sound-test videos demoing the mic in various circumstances.